Noah Gragson and the No. 18 Safelite AutoGlass team head into Friday night’s elimination race for the Round of 6 at ISM Raceway sitting in the fourth and final spot on the NASCAR Camping World Truck Series (NCWTS) Playoff grid, 18 points above the cutoff line for advancing to the Championship 4 at Homestead-Miami (Fla.) Speedway. Gragson was 11 points above the cutoff line when the Round of 6 began at Martinsville (Va.) Speedway, but has slightly increased his margin by finishing seventh at Martinsville and 10th at Texas Motor Speedway in Fort Worth while collecting 24 stage points between the two events. Johnny Sauter and Justin Haley have secured their spots in the Championship 4 via wins at Martinsville and Texas, respectively, while Brett Moffitt (+22), Gragson (+18), Grant Enfinger (-18) and Matt Crafton (-23) will be vying for the final two spots on Friday night. Gragson will be competing at ISM Raceway for the third time in his Truck Series career. 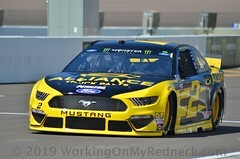 The Las Vegas native led 55 laps in last year’s race and was battling side-by-side with Kyle Busch Motorsports’ (KBM) teammate Christopher Bell for the victory with eight laps remaining when his truck got aero loose and ended up crashing hard into the outside wall. 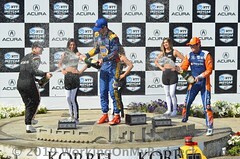 The damage put an end to his race and relegated him to a 15th-place finish. He qualified 14th and finished 16th in his NCWTS debut at the one-mile oval in 2016. 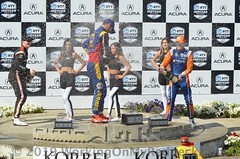 KBM has produced five victories with four different drivers in eight seasons competing at the Arizona track. Kyle Busch won in 2011, Brian Scott in 2012, Erik Jones went back-to-back in 2013-2014 and Daniel Suarez claimed the top spot in 2016. Rudy Fugle, Gragson’s crew chief, visited victory lane with Jones in the 2013 race and in four races (2013, 2015-2017) as a crew chief for KBM at the one-mile oval his drivers have led 65.3% (392/600) of the total laps. Gragson leads the NCWTS in stage wins (10), poles (five), average starting position (4.9) and average mid-race position (6.3). 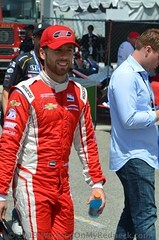 He ranks second to Sauter in laps led (548), fastest laps run (275) and driver rating (106.3). The 20-year-old driver finished second in the NCWTS regular season standings after posting one win, six top-five and 12 top-10 finishes across his 15 starts. Safelite AutoGlass, the nation’s largest provider of vehicle glass repair and replacement services, will adorn the hood of Gragson’s No. 18 Tundra for all 23 events on the NCWTS schedule in 2018. 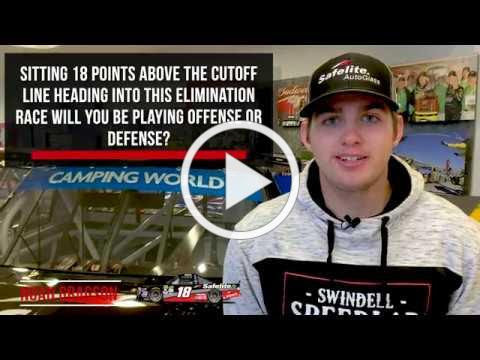 Sitting 18 points above the cutoff line heading into this elimination race will you be playing offense or defense? How will the changes they made at ISM affect this year’s race? In 45 career NCWTS starts has collected two wins, eight poles, 735 laps led, 10 top-five and 28 top-10 finishes. Recorded two top-five and three top-10 finishes resulting in average finish of 4.3 across three NASCAR Xfinity Series starts for Joe Gibbs Racing this season. Finished 10th in the NASCAR Camping World Truck Series (NCWTS) championship standings in 2017 after collecting one win, three poles, 187 laps led, four top-five and 13 top-10 finishes in his rookie campaign. 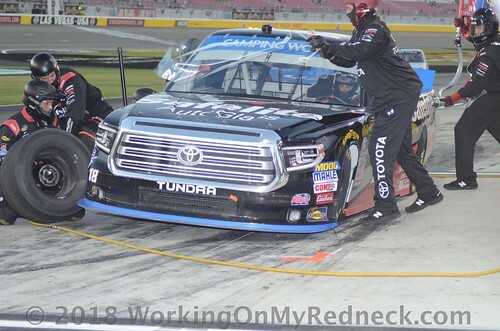 He earned his first NCWTS victory last October at Martinsville (Va.) Speedway outdueling series veterans Johnny Sauter and Matt Crafton in the closing laps. The NASCAR Next alum also competed in three events for KBM’s Super Late Model team in 2017, highlighted by his triumph in the prestigious ARCA/CRA Super Series Winchester 400 at Winchester (Ind.) Speedway in October. The Las Vegas native has collected four NASCAR K&N Pro Series West victories across 27 career starts and two NASCAR K&N Pro Series East victories across 17 career starts. KBM-38: The Safelite AutoGlass team will unload KBM-38 for Friday night’s Lucas Oil 150 at ISM Raceway. The Tundra nicknamed “38 Special” has won five times in 11 career starts and has an average finish of 3.9. It is the same Tundra that Gragson captured the pole, led 128 laps and won all three stages with at Kansas Speedway in Kansas City in May. 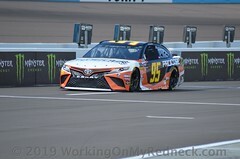 The Toyota most recently raced at Las Vegas (Nev.) Motor Speedway in September, where Gragson captured the pole and led the first 33 laps of the race before being relegated to an 18th-place finish after developing a tire rub late in the race. KBM drivers have collected five wins, four poles, 787 laps led, seven top-five and 13 top-10 finishes resulting in an average finish of 10.8 across 20 starts at ISM Raceway. The No. 18 team, which last year was the No. 4 team with Christopher Bell, has won five consecutive NCWTS Owner’s titles for KBM and has produced two championship-winning drivers (Erik Jones, 2015 and Christopher Bell, 2017). The No. 18, the number which was on the first Tundra that went to victory lane for KBM in 2010, has 21 career victories. KBM holds the NCWTS records for most career wins (68) and most wins in a single season (14 in 2014). In addition to collecting a series-record six Owner’s Championships, the organization has produced two championship-winning drivers; Erik Jones (2015) and Christopher Bell (2017).